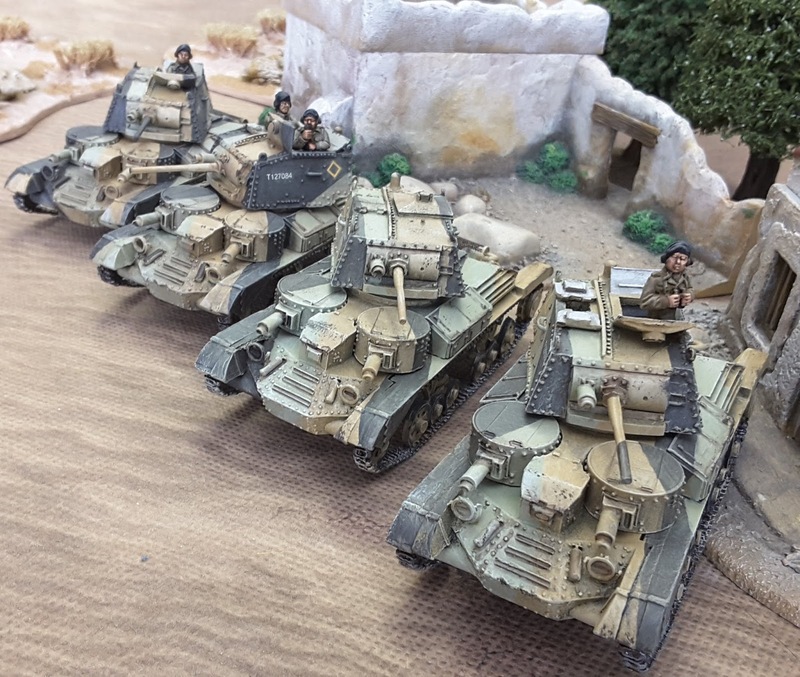 It's been a while since I painted any tanks (not that I have enough yet, obviously 😂), I had a couple lined up for one of our forthcoming early War Op Compass Campaign games and decided to get them done in good time, added to that my ongoing assault on the Analogue Hobbies Winter Paint Challenge continues and this year there is a Toofatlardies "What a Tanker!" Challenge and these would be reet for that. 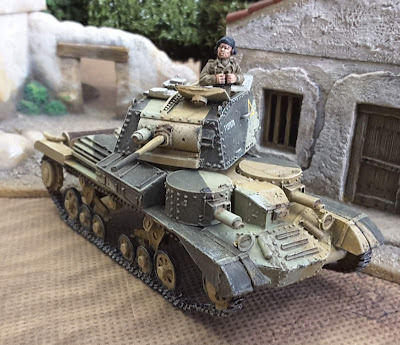 The tanks themselves are 28mm scale from Warlord Games and as far as I know are the only examples of the A9 Cruiser Tank in this scale, sadly they don't do a desert version with sand guards and my modelling skills are too limited to make any, so let's pretend they fell off ! They are painted in the Caunter Scheme which was common in the early Desert battles and was designed to disrupt the shape of the vehicle rather than camouflage it. 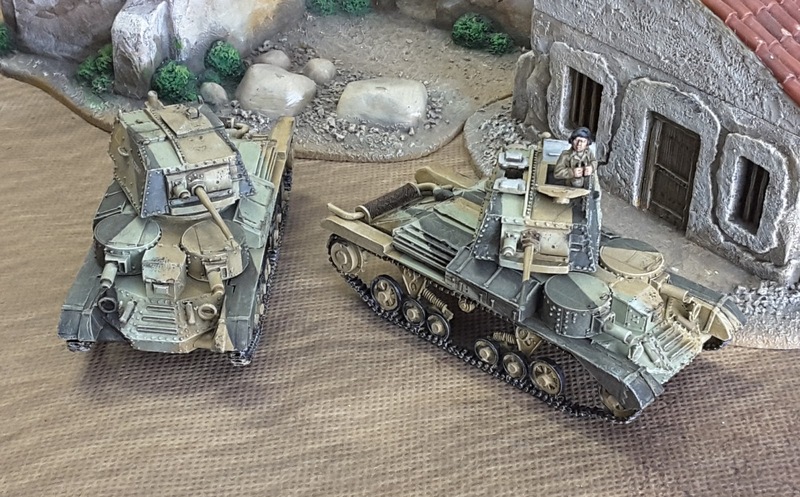 The paints are from AK Interactive who do a specific Caunter paint set, I have added some decals and a Tank Commander (to one vehicle). The lines are all hand painted, I really can't be bothered with masking and Airbrushes, it's just by eye till it looks good. 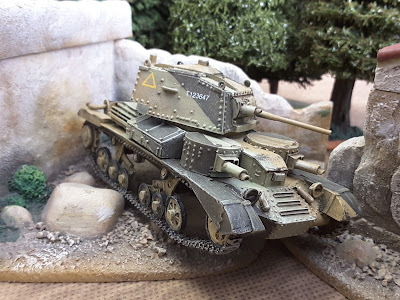 There is a little bit of weathering, with some chipping and a wash in the recesses as well. With a frontal "armour" of only 14mm it was vulnerable to an angry man with a pointy stick, if he had a decent run up. Just to make it better all the armour was virtually vertical and there were shot traps everywhere. 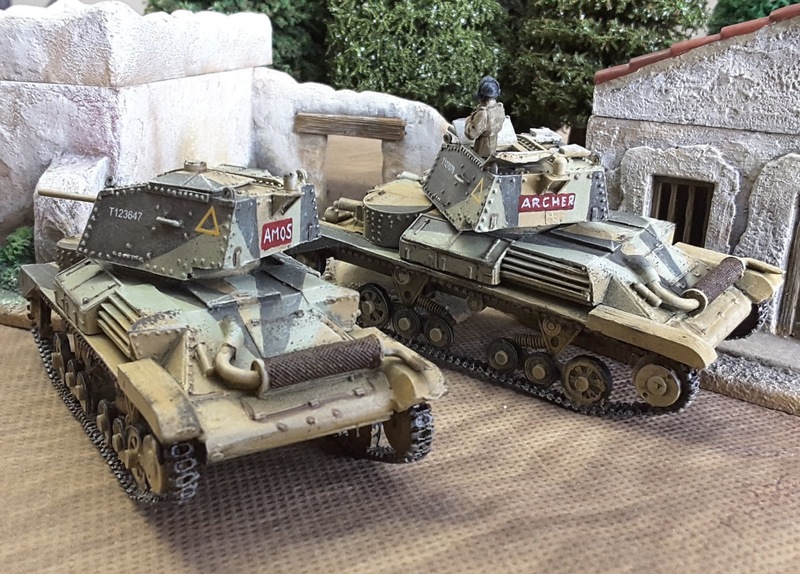 Thankfully they were up against some equally poor Italian vehicles, by the time the Germans turned up with some proper tanks they had virtually all disappeared. British tanks were named, often with the first letter of the name representing the Company they belonged too, so my A Company tanks are "Archer" (I am watching Enterprise at the moment so after the Captain) and "Amos" a classic name from the famous character from the Yarkshire TV Soap Emmerdale (when it were proper before t'plane crash). 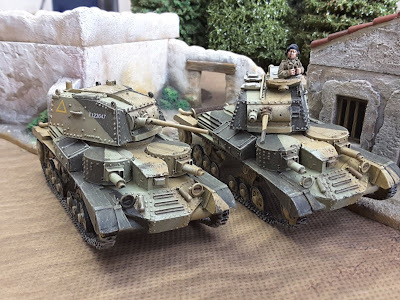 These 2 will make a total of 4 A9 tanks which will be it for this particular model in my British Army, time to finish off the A10 Cruiser Tanks next, anice little deviation from the Italian Wars Project, I have some Italian Motorcycles to hopefully add to the WW2 Desert stuff soon. 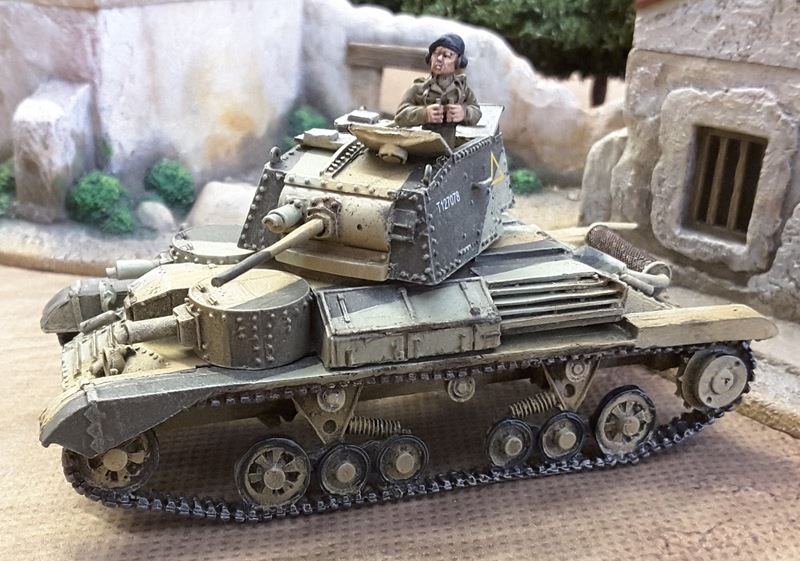 Cheers, Annie Sugden,next tank is named already. 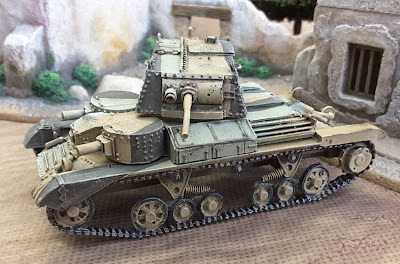 Most of the A9 tanks if not all were the CS version in North Africa armed with the 3.7" Smoke Howitzer. 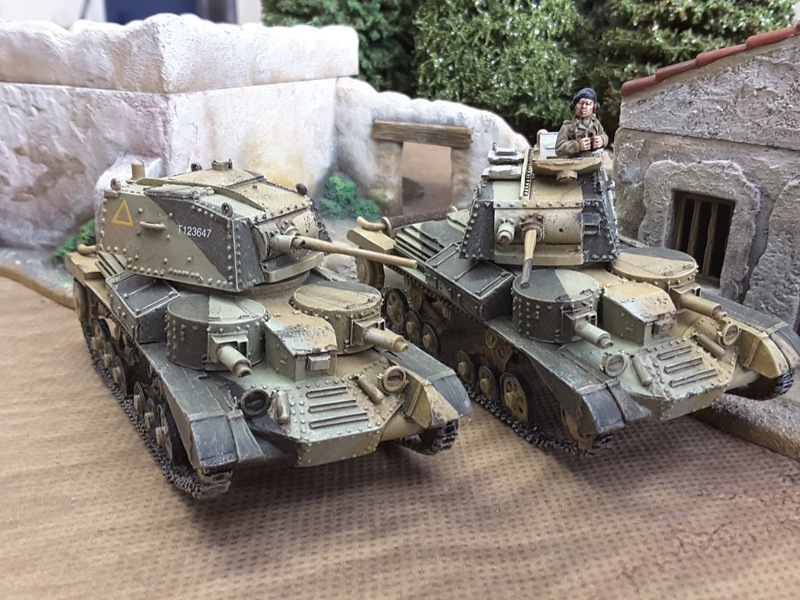 Handsome tanks! Is that Snapdragon scenery behind in some of those shots? Hi Jeremy, I think it is, sorry to sound vague but they were a donation from one of the regular gamers here at YG. Superb! Thanks for the tip about AK paints. Might get a set when I do my Stuarts.